Our deep understanding of the policy context combines with our expertise in data analysis and economic modelling to give you the clear insight you need to make decisions confidently. Key to our work is our suite of in-house models. These powerful tools give us the ability to explore, analyse and interpret a wide range of topics and scenarios with high confidence in the projected outcomes. With over 30 economists, skilled in analysis and modelling across a wide range of areas, we’re equipped to tackle most challenges. Our guest blogger is Jean-Francois Mercure of Cambridge and Radboud universities. 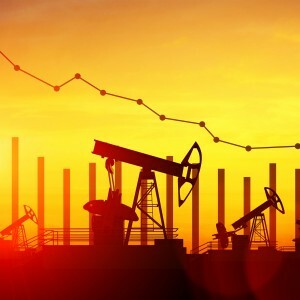 Jean-Francois is lead author on a paper published in Nature Climate Change last week, which highlighted the significant macroeconomic and geopolitical consequences of continued investment in fossil fuels. Here, Jean-Francois delves a little deeper into the topic of stranded assets and describes how the phenomenon is an excellent example of what’s known as ‘creative destruction’. In 1911, Schumpeter (an Austrian political economist) published his Theory of Economic Development, in which the first description of ‘creative destruction’ was given. This expression was later coined in his book ‘Capitalism, Socialism and Democracy’. Creative destruction is a term that implies that as innovation develops, new technologies, production methods and firm management practices replace older corresponding systems, towards higher efficiency or cost reductions, and older methods are discarded. Economic development happens through creating new more efficient ways of doing things, while destroying older less efficient methods. Sometimes, creative destruction may imply the loss of entire sectors, leaving work forces and physical capital (factories, production chains) stranded, or unused. For example, the car industry in Detroit declined in such a way that the city is now partly derelict and riddled with unemployment, due to economic activity shifting elsewhere. Creative destruction takes place through ‘gales’, as Schumpeter puts it, in other words through sudden avalanches. It triggers large shifts in investment, away from the declining industries and sectors, and towards new types of ventures. However, creative destruction is not something that can be avoided or that should be seen as undesirable, as no-one can prevent people and firms from using more efficient innovations. Creative destruction must be managed. We are currently facing a new and most likely severe period of creative destruction: that of fossil fuels. Current developments in renewable energy, as well as more efficient and electric transport implies that we are becoming more and more efficient with our use of fossil fuels (unburnable carbon, see: Leaton et al. 2011, McGlade et al. 2014, McGlade et al. 2015, Sussams et al. 2017). We are becoming so efficient that the demand for fossil fuels (notably oil) may start to decline after decades of near-constant growth. The danger with this is that it can lead to stranded fossil fuel assets. What this means is that some investors may invest large sums of money to develop resources of fossil fuels, to later find that prices (and demand) are much lower than expected. There could be substantial numbers of bankruptcies, as we have already seen in the coal sector and may now be seeing in the US shale sector (which is heavily indebted). It is possible that all oil demand could be met by low-cost production in the Middle East, leaving no room for production from unconventional sources like deep offshore, tar sands and shale oil. Investment losses could be large. These stranded fossil fuel assets could take the form of barrels of oil, tankers, pipelines (notably the newly planned Keystone pipeline), oil rigs, mining equipment, transport infrastructure, anything that is funded through expected returns on fossil fuel investments. And crucially, investors financing such developments can be situated anywhere in the World and may themselves be severely leveraged with debts. Our team, formed of innovation scholars, macroeconomists and climate scientists, set out to explore the macroeconomic impacts of this process. We used our model E3ME-FTT-GENIE to understand just that and published our findings in the journal Nature Climate Change (Mercure et al. 2018b). The model combines quantitative analysis with projections of technology evolution in the transport, household and power generation sectors based on current observed trajectories. We then looked at the impacts of changes in demand for fossil fuels on the fossil fuel markets themselves. And finally, we observed the macroeconomic impacts of this changing demand. Clearly, if demand declines, the fossil fuel sector of various economies will suffer. However, not all economies have large fossil fuel sectors, and some economies have large expenditures associated with imports of fossil fuels. a scenario in which policies are adopted which are consistent with the targets set under the Paris Agreement (which limits global warming to well below 2°C). We found that the current technological trajectory (i.e. without additional policy) could lead to a global wealth loss of $2tn (in 2016 values, discounted by a 10% corporate rate, $6tn undiscounted), while the 2°C scenario could lead to a discounted loss of $4tn ($12tn undiscounted) by 2035. This would take the form of ‘toxic’ fossil fuel assets, which could undergo a fire-sale by investors, at the moment when they fully understand the real risk involved in holding these in their portfolios. This would lead to a race to the bottom, where everyone tries to get rid of these assets. The current risk of holding such assets is therefore already high; however the financial sector has not yet found a way to systematically estimate this risk, delaying decisions to divest. This loss would propagate across the real economy and could close entire industries that are dependent on fossil fuel income. The magnitude of this loss is in fact comparable to that which triggered the 2008 financial crisis. During the financial crisis, a loss of $0.25tn in ‘toxic’ subprime mortgage assets led to an overall value loss in the global financial sector of $25tn. This happened because banks suddenly realised that their balance sheets were not sustainable and stopped lending in order to avoid undertaking additional risk. The ensuing credit crunch created substantial difficulties for small and large firms alike and the construction industry was temporarily paralysed. Stranded fossil fuel assets could lead to a similar outcome. Different countries will feel the effect of stranded assets very differently. Some countries, such as those in Europe, China and Japan, will benefit from reducing their dependence on imported fossil fuels. However, economies heavily dependent on the extraction and exports of fossil fuel assets, such as the USA, Canada and Russia, will suffer large losses when their production becomes uncompetitive with Middle-Eastern fossil fuels and are forced to close. We furthermore find that it would be worse for the US to pull-out from the Paris Agreement than staying in. Middle-Eastern countries (Saudi Arabia, Iran and other OPEC nations) will also suffer substantially, but this can be delayed by their using fossil fuel market power to gain market share. This strongly reflects current observed geopolitical interests: fossil fuel exporters refusing to follow a new low-carbon world order, while fossil fuel importers strongly supporting decarbonisation. The finding also shows that the standard conception of climate policy, one based on the prisoner’s dilemma, in which countries can free-ride on the decarbonisation efforts of other countries, is in fact deeply flawed. According to Schumpeter, and subsequent authors in this tradition (Freeman et al. 2001, Perez 2003), creative destruction never takes place without substantial structural economic change, stranded assets and workers, and even social upheaval. It would appear that we are perhaps beginning to witness this, with a new wave of identity politics and protectionism. The full Nature Climate Change article can be read here. E3ME: Energy-Economy-Environment Macro-Econometric model, global macro-econometric model. FTT: Future Technology Transformations family of technology models. GENIE: Grid Enabled Integrated Earth system model, an integrated carbon-cycle and climate simulation model. Allowed HTML tags are <a href="">, <p>, <br>, <i>, <em>, <strong>, <b> and <strike>. Cambridge Econometrics operate from three locations based throughout Europe. MOM Park Irodaház, A épület. 6. em. Budapest 1123, Alkotás út 53.